Thank you to Popville for featuring us! Read the original article here. 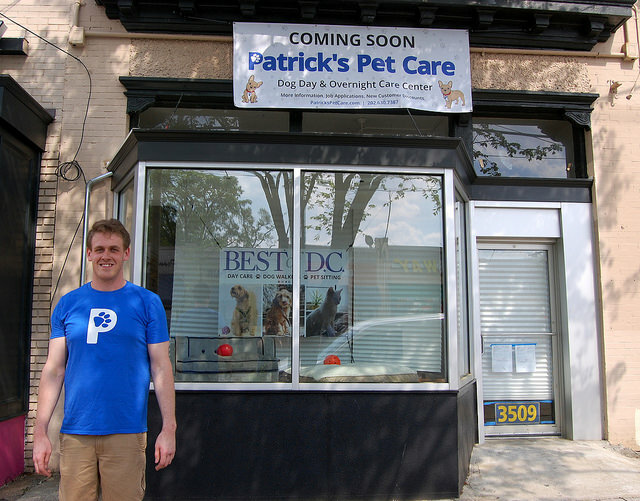 “Patrick’s Pet Care, a leading pet services company in Washington D.C., today announced the grand opening of its second location in Brookland, NE. Located at 3509 12th Street NE. This new locale will bring a medium-to-large dog day school and overnight center to the Brookland community. Curbside drop-off and pick-up service is available at the new Brookland location. Parking is also available in the rear. As an added convenience, Patrick’s Pet Care recently launched Pet Force One, a pet-friendly van to transport pups to and from the day school from anywhere in the city. The site will also serve as a “Woof Pantry,” in partnership with Big Bad Woof Pet Supply and Delivery Service of Takoma, where customers can both place and pick up pet supply orders.